Something as weird and funny as Yo-Kai Watch characters themselves is the Yo-Kai Watch Bubble gum set by Marukawa! Each bubble gum bar is flavored with real fruit juice, and there are many different fruit flavors! 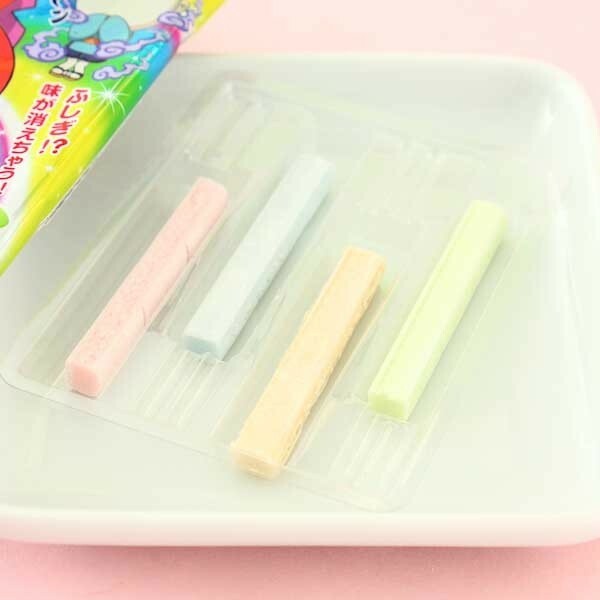 What is the exciting part, is that you can mix these bubble gum bars together to create entirely new tutti frutti favors! When you combine apple and peach, you get a bubble gum with pear flavor! On the backside of the package is a flavor chart for the bubble gums. If you are the brave one, you can create your flavor combinations! 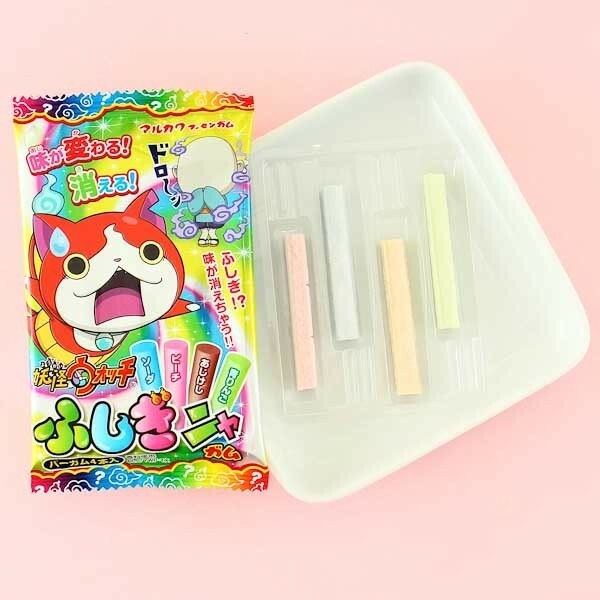 Exciting Yo-Kai Watch bubble gums for creating your own fruit flavor mixes!